Are you receiving letters from lenders about unpaid debts? If you’re not familiar with how the debt recovery process works, all those letters can end up being pretty confusing. In order to tackle your debts it’s really important to understand the situation you’re in and you can’t do that without understanding the letters you’re receiving. 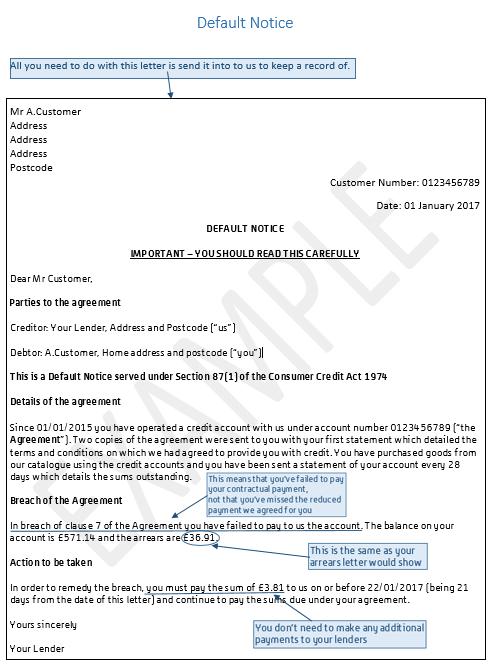 In this blog we’re going to explain the difference between arrears and defaults letters and what you can do to solve the problem. See whether there’s any way you can afford the payments your lender is asking for if you were to make tweaks here and there in your budget. If you know you can’t afford the payments, get in touch with the lender and explain why. They might be able to change your payments so that they are affordable for you, or give you a payment break – sometimes a little breathing space is all you need to get back on track. 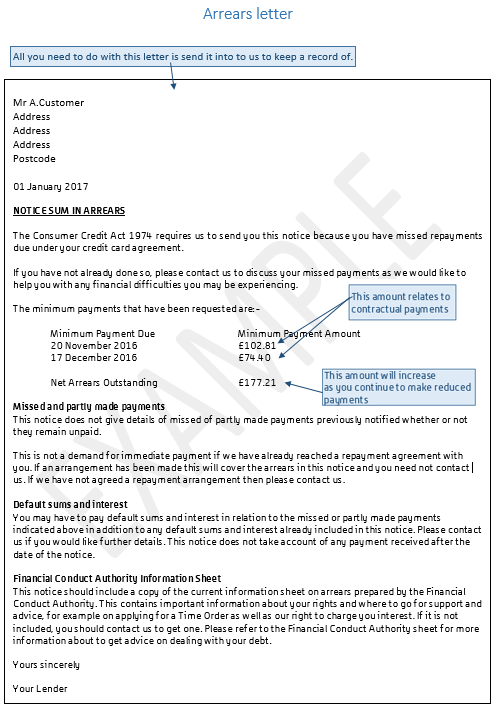 Creditors won’t issue a default after one missed payment – it normally takes three to six missed payments before a default is issued. They have to notify you by letter if they do this and defaults can only be issued for debts that are covered by the Consumer Credit Act. A default will stay on your credit history for six years after the date that you get it. This means any company that credit checks you during this time will be able to see that you’ve had problems paying back credit in the past. You may then find it harder or more expensive to borrow money or be approved for certain services, like a mobile phone contract or tenancy agreement. If you’ve got a default notice, it’s not too late to stop the situation escalating even more. Be sure to get in touch with your lender and discuss your situation with them as we explained above. If you’re not comfortable speaking to your lenders for any reason, or you don’t have anything to put towards your debts anymore, you should seek expert advice. A trained debt advisor will be able to tell you your options.